Astronomers recently disclosed that they discovered a black "hole" in the universe that is so big it is almost as if when you get there, you have reached the edge of everything. They say this cosmic black spot contains no stray stars, no galaxies, no mysterious dark matter. There is just nothing there at all. "It is one billion light years across of nothing. That's an expanse of nearly six billion trillion miles of emptiness," one group of astronomers at University of Minnesota said in their attempt to describe what isn't there. 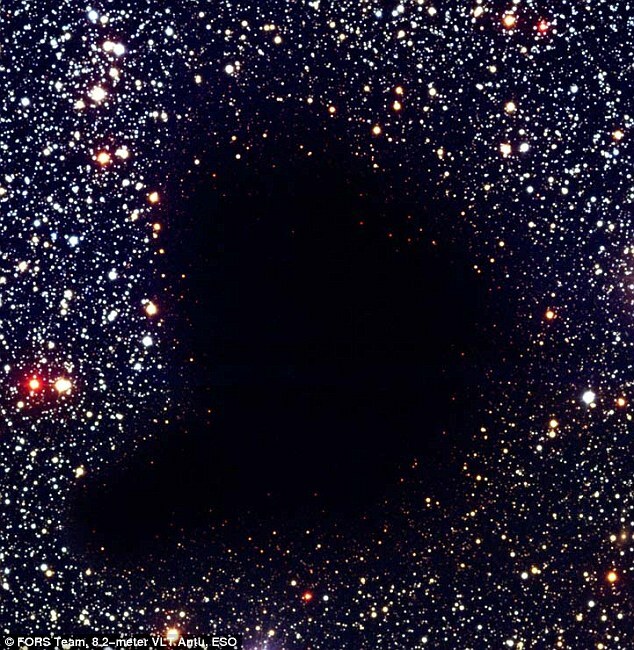 This vast black area has been suspected by astronomers for years, but the Minnesota team said they discovered just how much nothingness there is by using two different types of astronomical observations via radio imaging and cosmic microwaves, and comparing notes. Professor Lawrence Rudnick, who wrote of the discovery for Astrophysical Journal: "This is 1,000 times the volume of what we sort of expected to see. . . this is too much of a surprise." The other surprise is that this giant empty void of space is closer to us than we might like to think . . . some five to ten billion light years away. That is a far distance in terms of space travel but when you look at the total size of the known universe . . . it might be too close for comfort. The astronomers have been struggling to explain what they are looking at, and some of their descriptions get a bit humorous. Retired NASA astronomer Steve Maran, for example, said of the discovery: "This is incredibly important for something where there is nothing to it." Those of us who have experimented with voyages out of the body are well aware that there is an "edge" to the areas of space where we can travel. The late Robert Monroe, who founded the Monroe Institute in Faber, Virginia, as a place for scientific research on the human out-of-body experience as well as other right-brain functions, wrote books describing his travels in the astral. He also spoke of the edge of the universe where we cannot go, even when we are flying around as mere spirits of ourselves. So is there an edge to our universe? And if so, why does it exist, and what might there be beyond that? Indeed, the concept of a Matrix existence as described in that troublesome Hollywood film, The Matrix, and suggested as our future via nannotechnology as a way of escaping our dying planet, may be more reality than any of us have imagined. Could it be that we already are living in a nannotechnological world and that this newly discovered black space is truly the edge of the imaginary universe that our technology created for us? Could it be that we are mere specs within a created computer matrix and that through new technology, we are only now beginning to find evidence to prove our non-existence? Even more disturbing; after hundreds of years of examining space, why is it only now that astronomers are discovering a black hole of such an immense size? Is it a hole or is is just a mass of nothingness? Is something tearing at the fabric of our universe? Are we truly in a computer matrix that is going amuk? Is everything, not only our planet and sun, but our universe in self-destruct? Indeed, this discovery "is incredibly important for something where there is nothing to it."